Enhance the curb appeal of your property with the highest quality, maintenance-free fence option from Royal Fence, Inc. Vinyl fences have become more and more common in the last few years due to their outstanding durability and their maintenance-free nature. A professionally installed vinyl fence from Royal will serve you for many years with a strong fence that provides plenty of privacy and comes in a wide array of styles. Because vinyl fencing is resistant to water and sun damage, you will never have to worry about the material rotting or becoming discolored. Not only do we use the highest quality materials but we also provide the most efficient and cost-effective installation in the Western Chicagoland area. We offer many different fencing styles to match the needs of any residential, commercial, or industrial property. When you partner with Royal Fence, you can rest assured that your new vinyl fence will not crack, fade, chip or melt as long as it stands. Contact Royal Fence at 847-531-5635 today for a superior quality vinyl fence that will leave your property looking its best for years to come. 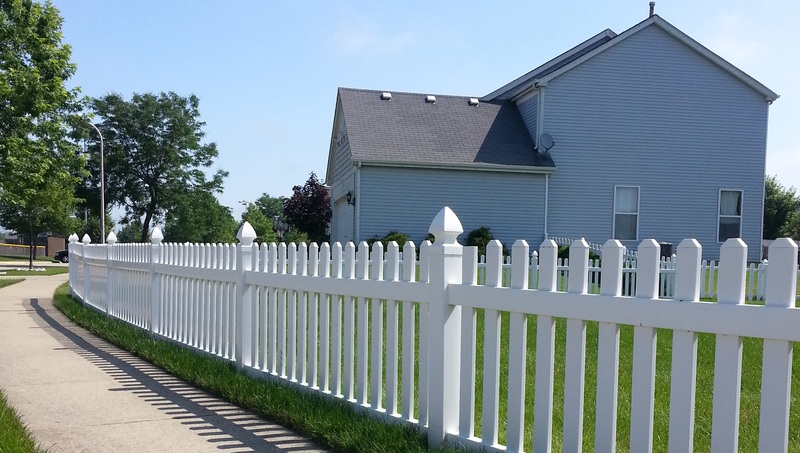 Located in South Elgin, IL, Royal Fence provides vinyl fencing installation and replacement to Schaumburg, Elgin, Algonquin, Streamwood, Glendale Heights, Batavia, Hoffman Estates, Arlington Heights, and surrounding communities.